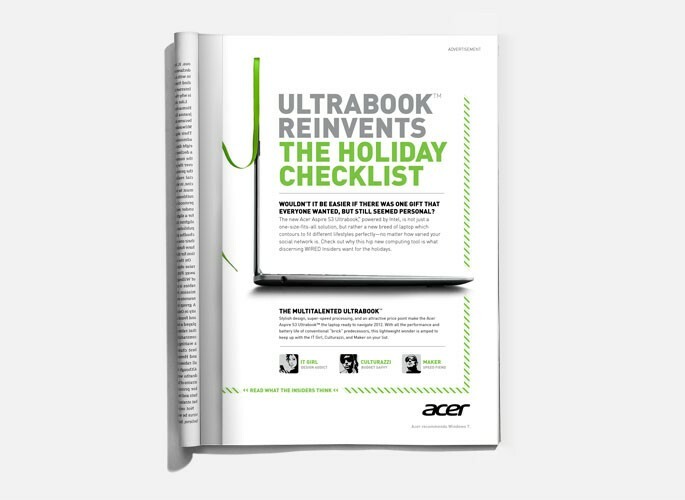 In an effort to make the Acer Ultrabook part of the WIRED community’s consideration set, three WIRED Insider personalities were used to showcase the ways in which the Ultrabook was the perfect fit for each personality. 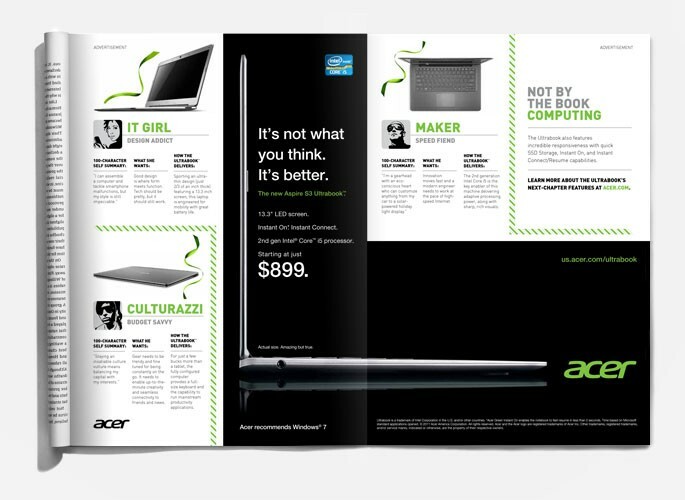 Print: WIRED developed a custom 4-page gatefold highlighting a 100-character self-summary of each WIRED Insider personality, what he or she was looking for in a laptop, and how the Ultrabook delivered. 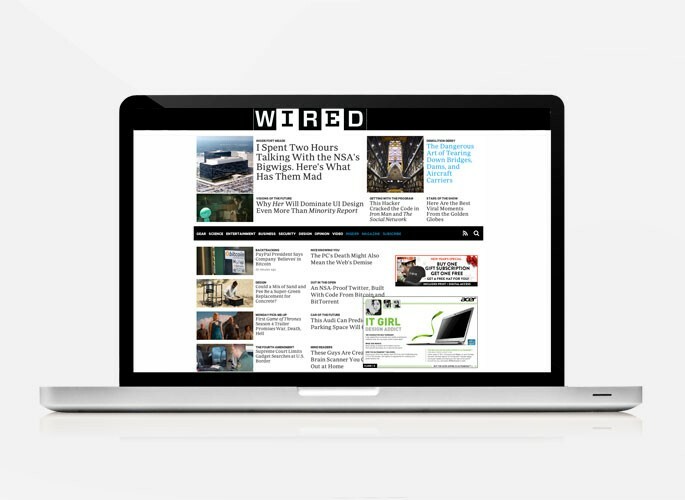 Digital: A complementary custom expandable ad unit was developed for rotation on WIRED.com, allowing WIRED’s online community to explore the content.